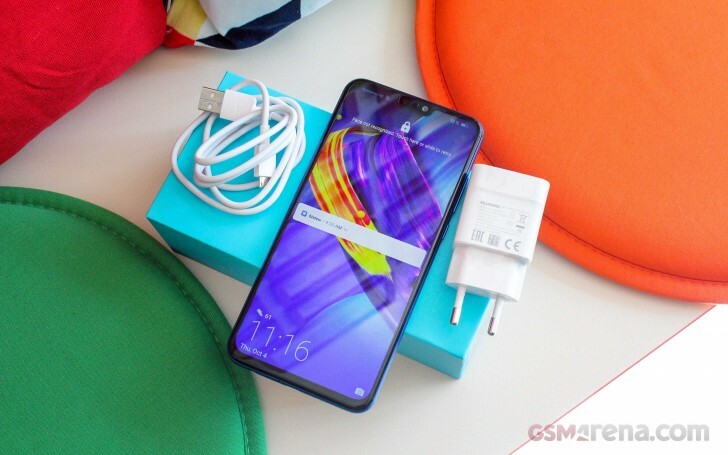 Honor 8X has been rolling out to markets all over the globe with numerous launch events. Initially it appeared in China, later followed by Western Europe arrival, there was another party for the Central European market and now it is time for India. The phone with huge 6.5” notched display and miniature bottom bezel made its Indian debut in New Delhi in both Blue and Black colors with impressive price tags between $200 and $260. The Honor 8X has a Kirin 710 chipset, built on the 12 nm process. It is coupled with either 4 GB or 6 GB RAM and up to 128 GB internal storage. The memory is expandable with the triple card slot that can house two nano SIM cards and a microSD card simultaneously. The main camera setup has a 20 MP primary sensor with f/1.8 aperture and a secondary 2 MP lens for artificial background blur. The selfie shooter has 16 MP resolution and f/2.0 lens. The phone offers all latest connectivity features like Dual VoLTE, Wi-Fi 802.11 ac on both frequencies and Bluetooth 5. Sadly, there’s no fast-charging - the 3,750 mAh is charged with regular speeds. There are three versions of the phone - 4/64 GB costs INR14,999, 6/64 GB is INR16,999, while the most powerful 6/128 GB version is INR18,999. Sales will begin on October 24 exclusively on Amazon. Give the link of the review. This is quite far from true. Honor 8x has one of the brightest displays in its price range. When you will actually see it live, you will simply love the display in this phone. Nobody complains because nobody buys the Galaxy A7.